DYNAMOS are racing against time to complete their squad for the upcoming season after the Premier Soccer League (PSL) ordered clubs to submit their player registration documents by tomorrow. The Harare giants are on a rebuilding exercise after almost all their players left the club for different reasons at the end of last season. 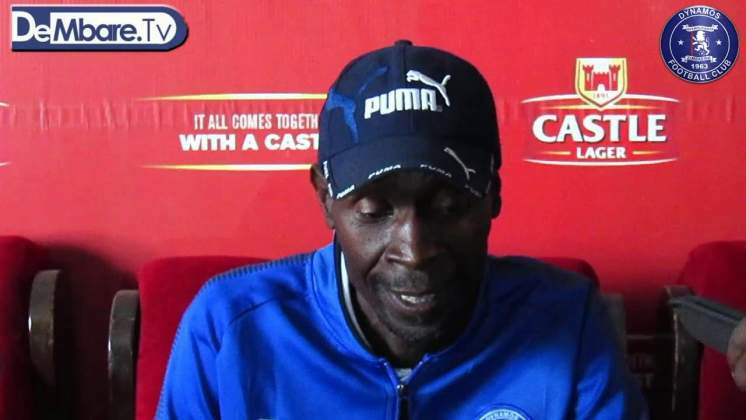 They managed to retain only five players from their last season squad, and coach Lloyd Chigowe has had to hold trials to assemble a new squad. The process has been ongoing since the start of the year, and by last week, the affable coach told the media that he was almost through. He said his club had secured 28 players, and left two slots for two strikers, one of them expected from Ivory Coast. But by yesterday, the West African was yet to arrive in Harare and he is likely to miss tomorrow's deadline. Chigowe is now a worried man. "We were expecting him yesterday (Tuesday), but he is yet to arrive," Chigowe said yesterday. "I watched video footage of the player and I think he is the kind of striker we want, but now I am not sure whether he would be able to meet the deadline. The management has been working on it, but I think we are behind time." The Glamour Boys, who escaped relegation by a whisker last term, have signed a number of players, including veteran forward Edward Sadomba and also added a foreign flavour to their squad, with Ghanaian Robert Sackey and the Democratic Republic of Congo's Ngandu Mangala signing for the team. The PSL yesterday gave all the teams until tomorrow to complete registration of all their players. The new season is expected to kick off on March 30. "PSL clubs have been instructed to submit their player registration documents by February 22, 2019 in preparation for the 2019 season, which comes on March 30. This enables the verification and processing of players' licences before the start of the season. The clubs are required to register a maximum of 25 senior players and five junior players born on or after January 2000. Clubs are expected to submit signed contracts, unconditional clearance letters, certified copies of identity documents and birth certificates for Under-19 players, educational history, signed medical examination forms and international transfer certificates for players coming from foreign leagues," the PSL statement read.